Blue Sky Press, 9780439367868, 128pp. 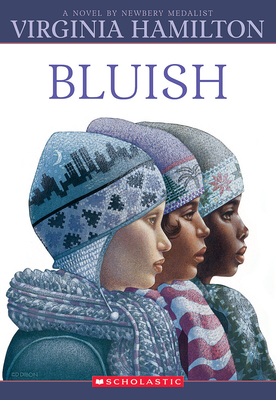 In this powerful novel researched in NYC schools, Newbery Medalist Virginia Hamilton documents the struggle young people face as they simultaneously assert their independence and yearn for guidance. Friendship isn't always easy. Natalie is different from the other girls in Dreenie's fifth-grade class. She comes to school in a wheelchair, always wearing a knitted hat. The kids call her "Bluish" because her skin is tinted blue from chemotherapy. Dreenie is fascinated by Bluish -- and a little scared of her, too. She watches Bluish and writes her observations in her journal. Slowly, the two girls become good friends. But Dreenie still struggles with with Bluish's illness. Bluish is weak and frail, but she also wants to be independent and respected. How do you act around a girl like that?